Love, Beth: Silas' 2nd Birthday! See that little man down there with the cupcake mouth? He turned two this past weekend! 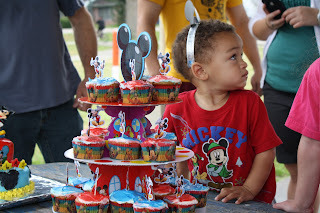 And we celebrated Mickey Mouse Clubhouse style! 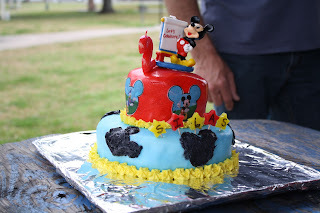 We had a great time celebrating at the park with family and friends. I'm very grateful for my family's help in pulling the party together. Uncle Eric and Aunt Brit made the cupcakes and birthday cake, Mimi and Pop provided the nachos and party favors (including everyone's cool mouse ears! ), Aunt Faith brought her yummy chocolate chip cookies, and Nanny Sara was the official photographer! We couldn't have done it without you guys! Thanks a bunch! 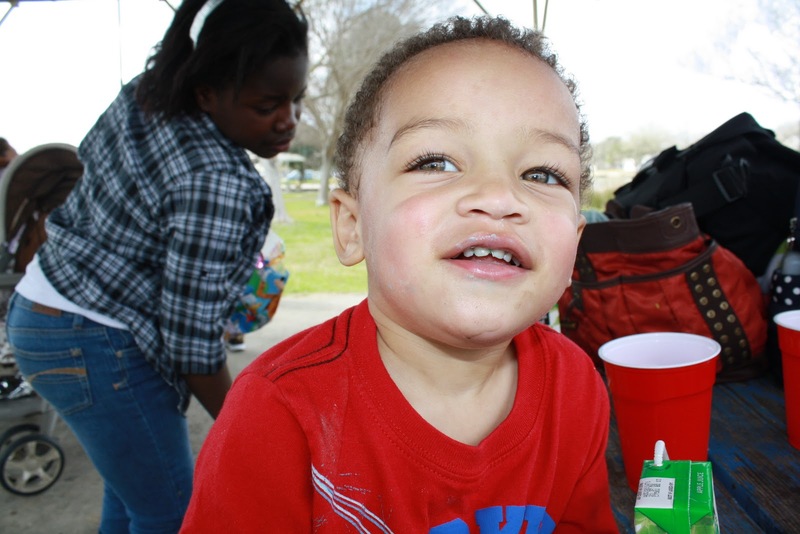 Silas had a blast playing with his friends at the park and opening presents. 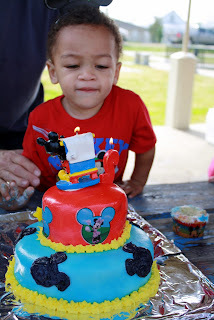 He also enjoyed way too much sugar, but that didn't stop him from taking a good nap when the party was over. Thanks to everyone who came out and celebrated with us.